Lars Faaborg-Andersen says recent decision to remove Hamas from EU's list of terrorist orgs means nothing in practical terms. The European Union's Ambassador to Israel is hard at work trying to convince Israeli leaders that the recent decision by the EU General Court to remove Hamas from its terrorist blacklist means nothing in practical terms. 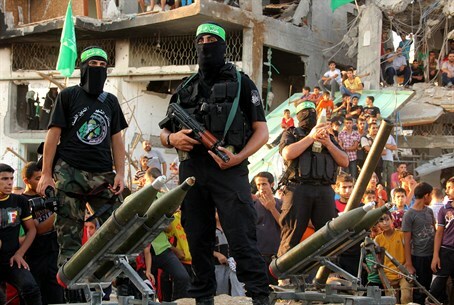 Ambassador Lars Faaborg-Andersen says the EU still considers Hamas a terrorist organization. He has been meeting with Israeli officials to convince them that the Court decision to annul a 14-year-old decision including Hamas on the EU blacklist is merely "procedural." Faaborg-Andersen acknowledged that Hamas was “deliberately mischaracterizing” the decision, and added, "We were quite surprised also." But he explained that the court does not engage in "making political statements. It’s only the EU member states that can make a decision as to whether they consider Hamas a terrorist organization. And nothing has changed in that regard." Following several meetings with Israeli officials, Faaborg-Andersen said, “it’s my impression that [my explanations] have reassured them, up to a point at least.” He emphasized that the court ruling has "no immediate effect in terms of unfreezing the sanctions that we have against Hamas," which he said "will stay in place” for at least three months. “It seems that too many in Europe, on whose soil six million Jews were slaughtered, have learned nothing,” Netanyahu added. On Wednesday, the same day of the court ruling, the European Parliament also overwhelmingly voted “in principle” to recognize Palestinian Arab statehood as an outcome of peace talks. Faaborg-Andersen also tried to explain that vote as "totally consistent" with the tradition EU readiness to "recognize a Palestinian state in due course, as a result of a negotiation process.” He emphasized that only recognition by states, and not by the EU, is considered binding.